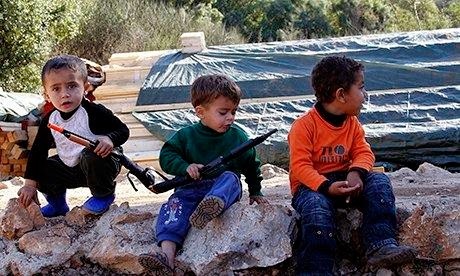 How will the surviving children grow up in Syria and Gaza? These children are lucky. They are still alive. The little boy above is a Syrian and the one below is a Gaza Palestinian. We wring our hands uselessly over all the dead children killed in both countries over the years but, even if, and it’s an unlikely outcome as I write this, even if solutions are found for these persistent conflicts, how will these children grow-up? Are they lucky to be alive? They have already seen more than any child should see. Many have lost their parents and siblings. Too many of them are growing up in a World where violence, brutality and death are daily realities. 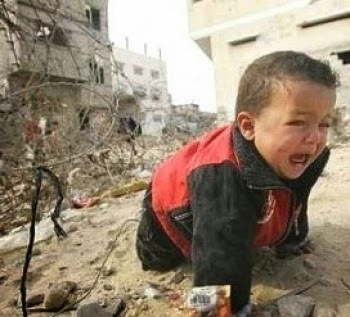 Will they want a peaceful world when they are adults or will they be so psychologically damaged that they will merely take their turn in this continuing game of violence and murder? We are not only failing to end today’s problems, we’re making new ones for the future. 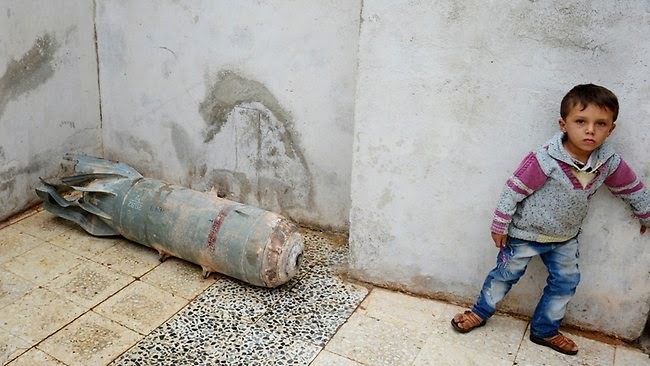 Syria three years on: Ten thousand children killed, five and a half million children displaced. Time for action. Time to stoop the blood-letting in Gaza and Israel. So this time a dictator really does have weapons of mass destruction.